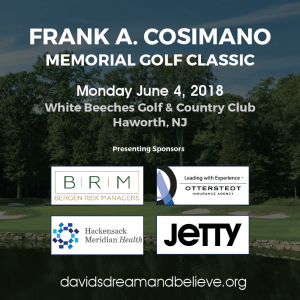 The 3rd Annual Frank A. Cosimano Memorial Golf Classic presented by: Bergen Risk Managers to benefit: David’s Dream & Believe Cancer Foundation (DDBCF) with support from: Hackensack Meridian Health, Otterstedt Insurance Agency and Jetty will take place at White Beeches Golf & Country Club on Monday June 4, 2018. The Cosimano and Caldarella families both grew up in north jersey but spent every summer and most off-season weekends together on Long Beach Island. The Cosimano’s are family to Co-Founder David Caldarella. As many of you know, Frank A. Cosimano passed away on August 7, 2011 from Pancreatic cancer. Frank loved his wife Angela, daughter Kim son Jason, daughter-in-law Dorothy, his 6 grand kids, friends, animals, golf and most importantly helping others. He was passionate about giving back to individuals and charities. One charity that was very close to Frank and remains close to his family is DDBCF. 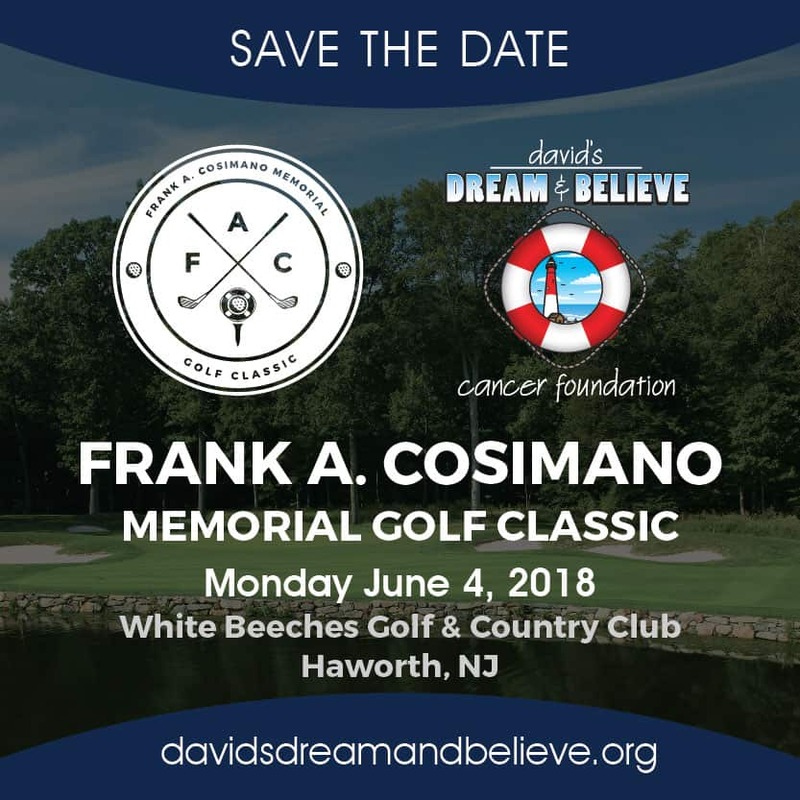 Please join us as we honor and remember this great man at The 3rd Annual Frank A. Cosimano Memorial Golf Classic on Monday June 4th. We want to thank Jason Cosimano, Kim Cosimano, Mrs. Angela Cosimano and Dr. Robert Siconolfi for serving as Co-Chairs for this event. Jason is currently serving as a member of our Board of Directors. A special thanks to our Golf Committee that includes family members and long-time friends from both the Caldarella and Cosimano families. We want to recognize Michael & Todd Accomando, Danielle Corso, Lauren Komsa Curtis, Karen Guerra Hanson, Leonard Kaiser, Jaqueline Ceccarelli-Komsa, Stephen P. Sinisi Esq. and Christina Ulmer. Thank you to Greg Porcino from Golf Event Management. 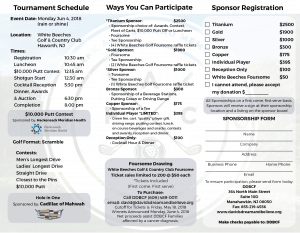 Also, want to thank the staff at White Beeches Golf & Country Club and long-time friends of the Cosimano and Caldarella families: Lauren McGovern and Jim McGovern. 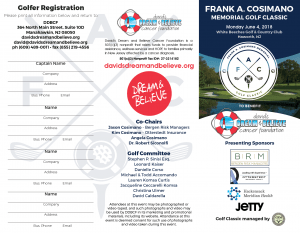 There is a limited number of sponsorship packages, individual player and/or dinner reception only tickets available for the 3rd Annual Frank A. Cosimano Memorial Golf Classic at White Beeches Golf & Country Club on Monday June 4, 2018.